SisLee came to Bramblestone Farm from Old Mountain Farm in the fall of 2018. 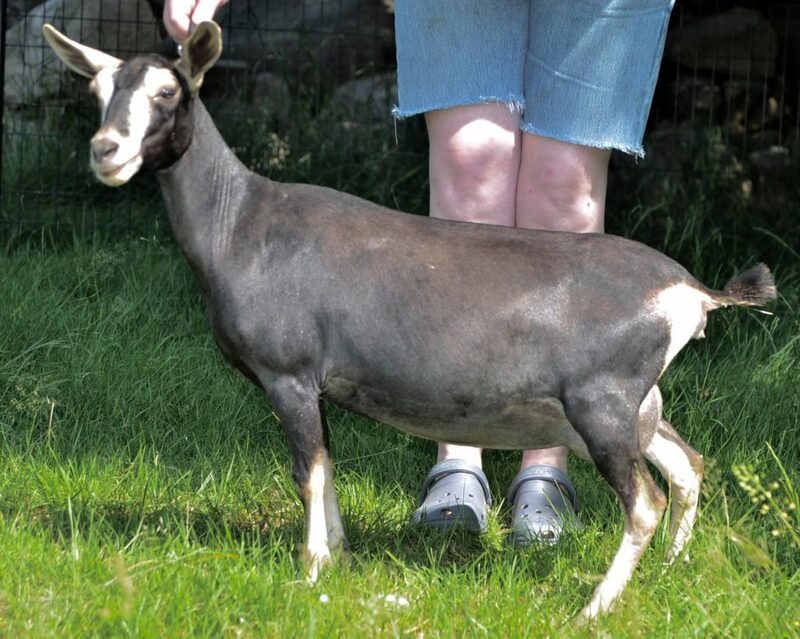 She came with her son StagLee and is the daughter of an Old Mountain Farm doe that I’ve admired for a long time – 2*M SG NC Promisedland Nemesis 2*D.
Old Mountain Farm SisLee is a conformationally beautiful, fine-boned doe with a well-attached udder. Despite her delicate look, she is also the loudest doe (when she wants to be) we have ever had at Bramblestone Farm. 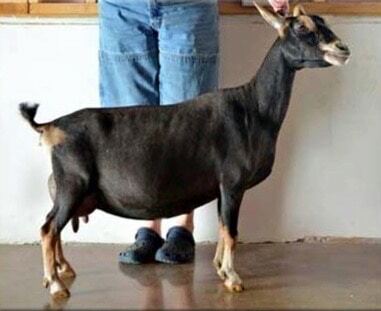 In addition to her great conformation, we enjoy her coloration and Swiss markings. Her dam, Nemesis is shown below. Her permanent linear appraisal score is 09-01 90 VEEE. In the photo, she is an eight-year-old 7th freshener. I think Nemesis is gorgeous and will be very happy if SisLee looks like her as she matures. She certainly seems to be well on her way!